A world of possibilities opens with Booking Activities 1.1! 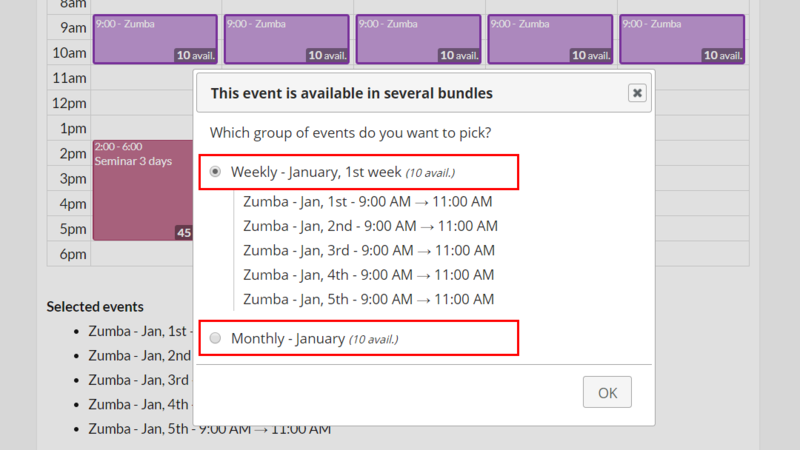 Big news, you can now group your events and sell them in bundles. 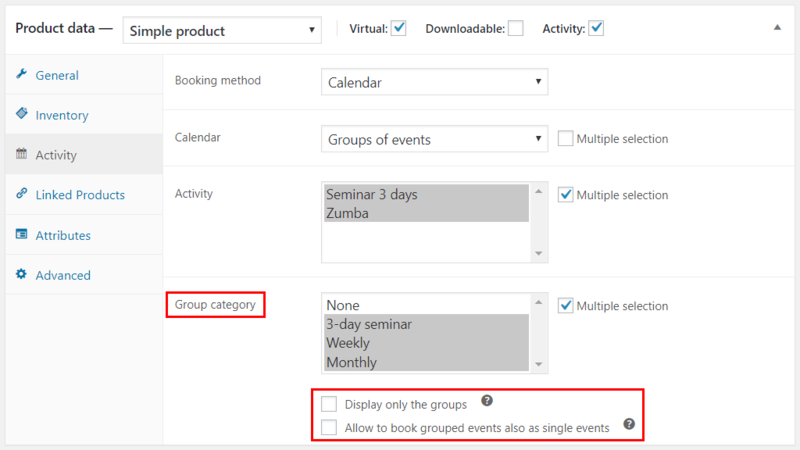 To group events, it’s very simple, go to the planning editor and select two events (or more). An add-in icon appears in the “Groups of events” area. All you have to do then is to give your group a title. More information here. Note that your events groups are classified into categories. It just lets you choose whether to display them on your site, just like activities. For your customers the process remains very simple. 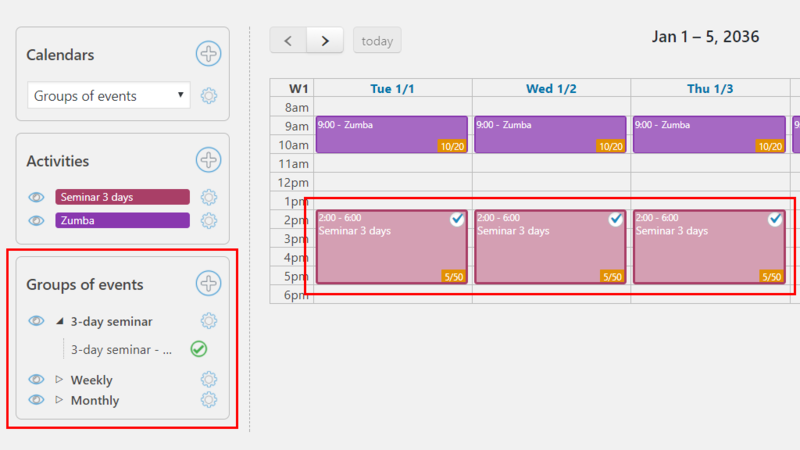 When they click on an event, if grouped, all events in the group will be highlighted. If it belongs to several groups, or if the single event can be reserved, a dialog will ask him which group he wishes to select, simply. See the shotcodes equivalent parameters here. Make available only groups of events of a certain category. If no category is selected, events can be booked alone. 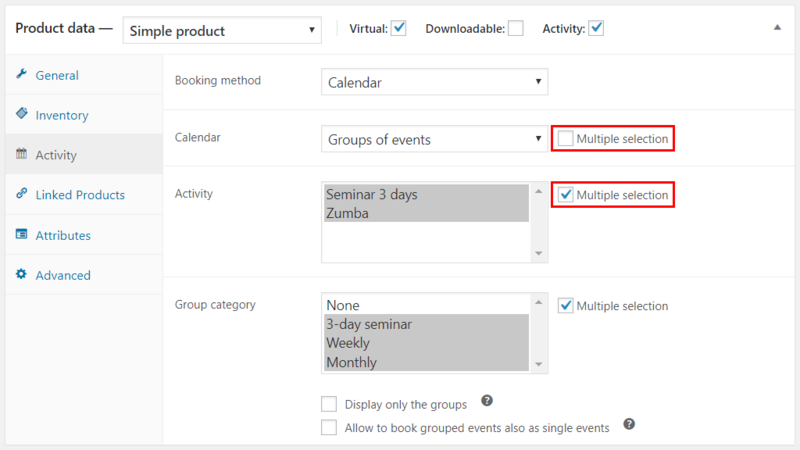 Show only groups, not single events. Otherwise, groups and single events will be available. 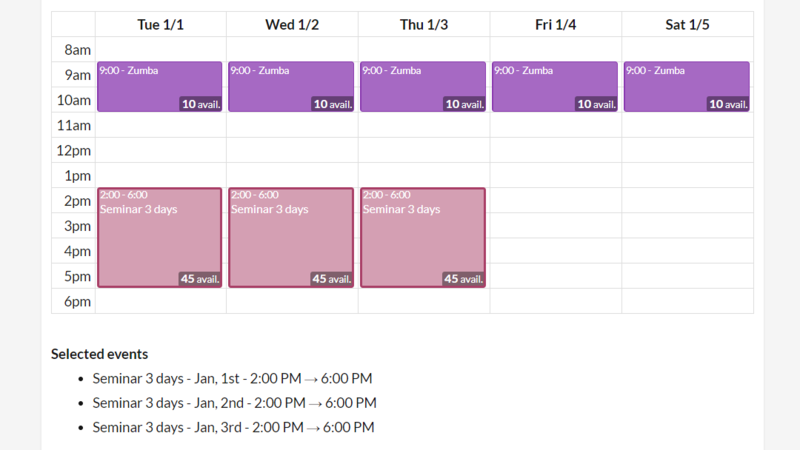 Book a single event belonging to a group. Otherwise, a grouped event can only be reserved with its entire group. Another new version 1.1 great novelty for WooCommerce users: you can now bind several calendars and activities to a product. Again, this multiplies your possibilities. In Booking Activities general settings, you will find four great options. Choose “On page load” so that your calendars appear directly ready to use on your site. The page loading time will be however a little longer. 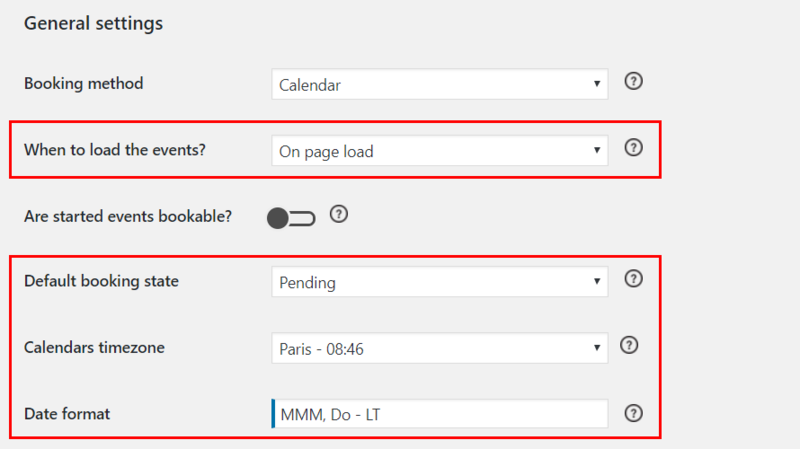 On the contrary, choose “After page load” to move the loading time of the calendars. Your page will be loaded faster but the calendars will not be present yet, a loading wheel will serve as visual feedback. Optimizations were performed to reduce the loading time compared to previous versions. When a customer submits a booking form, must the booking be “Booked” or “Pending”? No matter where your customer is located, now everything is related to YOUR timezone. That is, events that are past according to your working place time will no longer be available regardless of the customer’s time. Similarly, your customers will no longer be able to reschedule or cancel a reservation if the time you have indicated is elapsed according to your timezone. You can define the format of the dates displayed in the list of selected events and in the grouped events lists. So you decide to view an abridged or full version of the dates. This customization field is compatible with multilingual sites, so the date format will be in agreement with the language of the site. Is there any way to import events with a csv format or any other import possibility ? Hi John, no sorry there is no import feature for now. It is part of the roadmap though. You can subscribe to the newsletter if you would like to be notified of new features.